Africa and wont go to any more combat until about Christmas time. No more time now. 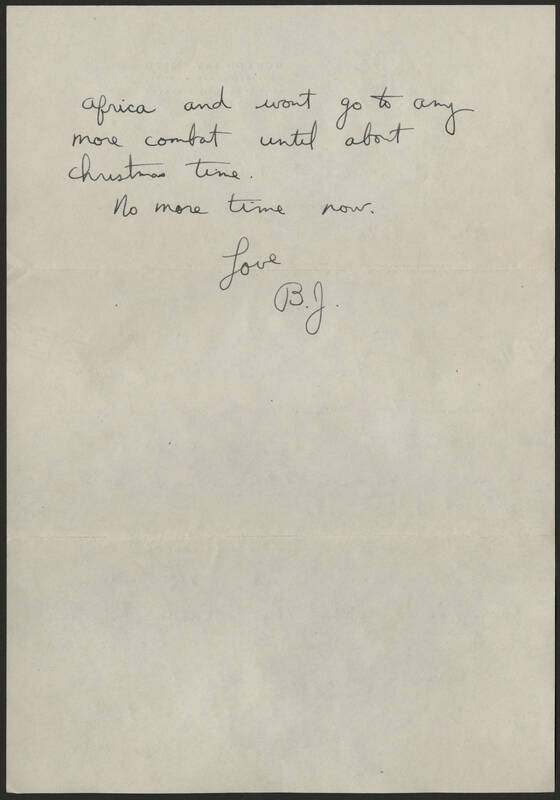 Love B.J.